20 years of radio experience. Nationally syndicated radio host. Published fiction writer. Kansas City Royals enthusiast and historian. All are true of Dave O, who grew up spending summer nights at either Rosenblatt or Kauffman Stadiums and if not, glued to the radio with Denny, Fred and (later) Ryan. As the years passed, Dave played a lot of baseball, even through high school in Lincoln, Nebraska, as well as getting his dream part-time job starting on the air (weekend overnights) on the #1 radio station in the capital city at the age of 16 (KFRX). Dave O continued on-air for the Lincoln radio station through his college years (University of Nebraska) before beginning his full-time radio career in the Top 30 market of Charlotte, North Carolina in 2004 (WNKS). 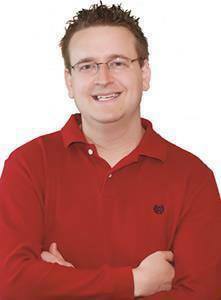 Following two years in Charlotte, Dave moved to Jacksonville, Florida in 2006 (WAPE) before landing his dream job in Kansas City radio at the end of 2008 (KMXV). Once arriving in KC, Dave did the natural two things – he bought his first house and got Royals season tickets. Shortly after, he was approached about starting a syndicated radio show (Round Trip With Dave O). He still does this on 20 radio stations across the U.S. each weekend. But those who know Dave know that the Royals are his true passion, which is why he’s proud to launch Clubhouse Conversation, where the goal is to catch up with current Royals all over the organization, talk about everyday Royals news on “Dave O’s Dish” and eventually, speak with every living former Royals player, coach and major team associate, and give them a place to always be remembered through memories and stories. Welcome to the site, and we hope you’ll make it an often visit. Go Royals! BELOW: See Dave O and former Royals pitcher Jeremy Guthrie together on Fox 4 News!